When you’re in need of a new boiler in Kirklees there are tons of different options available to you and sometimes it can be a little overwhelming. That’s when our helpful team at Bright Gas can help you out. Summer is a brilliant time of year to get a new boiler for your property. Summer isn’t always the time of year you think about getting a new boiler installed in your home, but realistically it’s ideal. If your boiler is struggling to heat your home or you are constantly having to pay for repairs on a regular basis, then it is time to start thinking about stopping forking out on costly repairs that only have a temporary fix and start investing in a brand-new boiler. Boilers really don’t have to seem as expensive or scary as you may have thought. It is important think of a boiler as an investment in your home, that will benefit you and your family for years to come. Plus, at Bright Gas we offer a buy now, pay later scheme, meaning that you don’t need to fork out for a new boiler all at once. Kirklees boiler: How does it work? With no deposit required get your new boiler installed straight away and benefit from having nothing to pay for 12 months. Through our trusted finance partner Hitachi Capital Consumer Finance, Bright Gas can offer you finance with up to 2 years 0% finance available. Due to our close relationship with Worcester Bosch and outstanding workmanship, we’re one of the few installers in the country that can offer you a 10-year warranty that includes parts and labour! You can be enjoying your new ‘A’ rated boiler in no time at all! Our tem will work you to not only find the right boiler for you and your property but they will help to find a new boiler that also works for you financially. Afterall, investing in a new boiler isn’t a small task. At Bright Gas all of our team are fully qualified Gas Safe registered engineers, here to offer advice and complete your new boiler installation. At Bright Gas we specialise in the supply and fitting of boilers, whether it be a combi boiler, system boiler or heat only, we’ll find the ideal solution for you. We work very closely with the top manufacturers of high quality boilers including Worcester Bosch, Vaillant, Baxi and Viessman so have access to a wide range of boilers to suit your needs. Plus, as they are all A-rated for energy efficiency, the cost of running the boiler is significantly reduced. Getting a new boiler can be a lot easier and cost effective than you may realise. Talk to our team today to find out how we can help you! Whenever we see an advert for a plumbing company on TV, hear them on the radio or see a printed advertisement for no call out charges, we often doubt whether or not they are being honest. We ask ourselves when is a plumbing call out free and when is it chargeable? At Bright Gas, we want to make ourselves clear on how we operate and the principles of our no call out fee. That way you know exactly what to expect when you pick up the phone and talk to Bright Gas. During our typical working hours, we will send an engineer free of charge to diagnose any faults on boilers and heating systems that you may be experiencing. If a fault is detected our team will provide a complete quote for the cost of repairing your boiler or heating system, from which you can decide to accept or decline. If you decline our quote to fix the issue with your central heating system or boiler, Bright Gas can still help by offering our diagnosis service which is a minimum set charge to cover the time spent diagnosing the fault in your property. If you accept our quote to solve your boiler issues we will do our upmost to fix your boiler or central heating system there and then, saving you time and the inconvenience of having to wait in for a heating engineer to call later in the day. We will give you a fixed price for the cost of repairing the problem, which includes both parts and labour regardless of how long it takes to resolve the issue. Our out of hours call outs are not free of charge as we have to pay an engineer to be on standby and to attend the job. We want to be as honest as possible with you, and this is the reason we change for out of hours call outs. We will typically only attend emergencies out of hours such as gas leaks and water leaks to make the home owner and the property safe as this is our main priority for any customer. The out of hours call charge will depend on the time of day and day of the week but will give you an accurate price before we arrive so that you are 100% happy before we even get to your property. Our central heating engineers have a vast knowledge of boiler faults on most industry recognised boiler brands, including Worcester Bosch, Baxi and Viessmann. During your initial phone call, we can typically tell you if we can fix your boiler during our visit. We have boiler repair engineers and emergency plumbers covering Dewsbury, Batley, Ossett, Horbury, Mirfield and Wakefield. If you need an emergency plumber Gomersal make sure Bright Gas are your first call 01924 631177. Last night we had an emergency call out from a distressed customer, who had returned home from a day out to find that their boiler was not on and water was spouting across the bathroom. Luckily our emergency plumber wasn’t far away in Batley and told the customer exactly what she needed to do not only to keep her calm but also to protect her property and cause minimum damage and was there in 30 minutes. 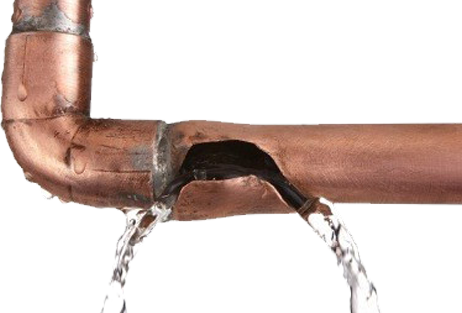 On arrival, our emergency plumber could stop the leak, identify the cause and have the correct parts in his van to repair the boiler in 90 minutes. After isolating the faulty boiler and removing the water from the system he also completed a service on the boiler as this hadn’t been done for over 3 years. An annual boiler service could have prevented this from occurring and the part replaced sooner. “Extremely pleased with the work carried out by Bright Gas, especially the engineer that came to my house. When I returned from a full day out of the house I could feel that the house was cold but had no idea that I’d walk into the bathroom to find water spurting everywhere. I had no idea what to do, but Googled for local emergency plumbers and Bright Gas appeared. I was surprised at just how fast they would be at my house and also how helpful they were before they arrived. They were great through the entire process and would recommend to anyone as I was slightly nervous about getting someone in that I’d never used before” Marian Sheridan, Gomersal. Emergency plumber Gomersal: What’s next? Before the team left, our team have provided Marian with a range of different options for the future. The main thing being that she needs to have an annual boiler service to prevent things like this from happening. If problems keep arising, it may be more economical to have a boiler replacement a – A new Worcester Bosch boiler would come with 10 a year parts and labour guarantee along with a savings on the gas bills by up to £250 a year. If you need an emergency plumber Gomersal make sure Bright Gas are your first call. 01924 631177. At Bright Gas, we understand that investing in a new boiler is a serious investment. That’s why we make sure that all boilers are individually designed and installed to suit your property and your specific needs. Your boiler is the heart of your home; heating up radiators, providing hot water for baths and showers and keeping you warm and comfortable in your home. So, it’s important that you get everything perfect. We often have this question and while no install is the same we can often give you a very accurate guide price with a few questions and assessing your current boiler set up. What type of boiler do you want to install? One of the biggest cost factors involved when installing a new boiler will depend on the size and type of boiler you require, and the installation company you use. Typically, new boilers cost between £1000 – £2300. However, the most important thing is finding a boiler that suits both you and your home. In today’s market the biggest seller and most popular type of boiler is the combi boiler. A combi boiler heats water directly from the mains, allowing a constant supply of hot water and alleviating the need for a separate water tank. They are one of the most efficient types of boiler as they will only heat water on demand. However, just as there are many different types of homes, so there are many different types of boiler; including conventional, system and back boilers. Boiler prices vary considerably as a result of build qualities and levels of after-sales support. As a general rule, budget boilers offer shorter life spans, shorter warranties and reduced levels of customer support. Whilst they are cheap to install they tend to be expensive to maintain and less efficient to run. As a general guide the lower down the pricing range you go then the lower the warranty and guarantee period on your new boiler would be. A typical lower priced boiler comes come with a 2 year parts and labour warranty whereas a top of the range boiler often 10 year warranty, which is a massive difference and the price isn’t necessarily that much more expensive – especially when you think your boiler may be covered for an additional 8 years. Budget-friendly boiler prices – a typical like for like boiler such as a Ravenheat or a Vokera fitted in 3 bedroom semi would cost from £1100 to £1300 with a 2 to 5 year parts and labour warranty. Mid-range boiler prices – a typical mid-range like for like boiler such as an Ideal, Logic or a Glow Worm fitted in a 3-bedroom semi would cost from £1350 to £1750 with a 5 to 7 year parts and labour warranty. High-end boiler prices – a typical top of the range boiler such as Worcester Bosch or Vaillant fitted in a 3-bed semi would cost from £1700 to £2200 with a 8 to 10 year warranty. At Bright Gas all our engineers are fully accredited installers of Ideal, Vaillant and Worcester Bosch boilers and Gas Safe registered. We want to make sure that no matter what boiler you choose, you’re getting one we’re happy to install and think is suitable for your family. If your boiler is in need of replacing then call our team at Bright Gas today. We’re always on hand to help you out! Call Bright Gas on 01924 631177. As Spring is now here and the cold weather is now hopefully behind us, it is a perfect time to start thinking about installing a new boiler in your home! Spring isn’t always the time of year you think about getting a new boiler installed in your home, but realistically it’s ideal. If your boiler is struggling to heat your home, even when you’re not relying on heating in April or you are constantly having to pay for repairs on a regular basis? Then it is time to start thinking about stopping forking out on costly repairs that only have a temporary fix and start investing in a brand-new boiler. Boilers really don’t have to seem as expensive or scary as you may have thought. It is important think of a boiler as an investment in your home, that will benefit you and your family for years to come. At Bright Gas we offer a buy now pay later scheme in partnership with Worcester Bosch and Hitachi Capital, meaning that you can have a new central heating system installed for the cold winter months ahead without facing a huge upfront cost. Plus, we offer boiler finance on brand new energy efficient boilers on a monthly payment plan. Meaning that you can invest in a new boiler for your property without facing a huge upfront cost. Birstall boiler replacement: How does it work? With no deposit required get your new boiler installed straight away and benefit from having nothing to pay for 12 months. Through our trusted finance partner Hitachi Capital Consumer Finance, BrightGas can offer you finance with up to 2 years 0% finance available. Has your boiler been struggling through the cold winter months? Then it may be time to start looking for a brand-new boiler. Spring isn’t always the time of year you think about getting a new boiler installed in your home, but realistically it’s ideal. In the spring months, you are using your boiler less and less, especially as the days get longer and the weather warmer. You may be thinking great, at least I’m not have to fork out on costly repairs on a regular basis still, but a temporary fix will never last. It may be time to start investing in a new boiler. Boilers really don’t have to seem as expensive or scary as you may have thought. It is important think of a boiler as an investment in your home, that will benefit you and your family for years to come. Plus, at Bright Gas we offer a buy now, pay later scheme, meaning that you don’t need to fork out for a new boiler all at once. With tons of different options available to you and sometimes it can be a little overwhelming. That’s when our helpful team at Bright Gas can help you out. Plus, installing a new boiler now, means that you are only paying towards the cost of your new boiler and not your heating bills! Make the most of having nothing to pay for the first 12 months with Bright Gas. From the day your new energy efficient boiler is installed in your home, you do not need to pay straight away.We’ll help you work out how much your new central heating boiler will cost. As well as giving you different options to pay for it. Tailoring your finance package to suit your requirements whether you want to spread the cost over 12 or 120 months, deposit or no deposit. Many of us rely on gas appliances to heat our homes, provide hot water and cook our food. However poorly maintenance gas appliances are a serious safety threat to our family, pets and homes. As Gas Safe engineers we recognise the importance being gas aware and ultimately gas safe. The Gas Safe Register was created in 2009 (replacing Corgi) to raise awareness of the dangers of poorly maintained gas appliances, which can lead to gas leaks, fires and carbon monoxide poisoning. A boiler breakdown now could leave you and your family without hot water or heating in the cold spring months ahead, especially as the temperature is set to plummet this week. A problematic boiler could be a huge problem for you and your family, with no hot water or central heating your day to day life will struggle. We really don’t realise how much we rely on a fully functioning boiler. However, when your boiler does break down, it is important that you get it fixed quickly, for your family and to protect your home from any future disasters, such as frozen pipes or potential gas leaks. Cleckheaton boiler repairs: What’s the first step? Experiencing a problem with your boiler shouldn’t be a nightmare, and thankfully our experienced Gas Safe registered boiler specialists are on hand to diagnose, repair and service all domestic gas boilers. Even when you’re worried that your boiler isn’t working properly but hasn’t quite shut down yet, you should call our same day boiler repairs service immediately. Waiting until the whole system goes defunct is unnecessary and can be dangerous to the boiler and people in the property. Whether your boiler has lost pressure, has a leak or you have no heating or hot water, our prompt response boiler repair service will ensure minimal downtime as much as possible. Where new parts are required, we only use genuine parts to repair your boiler for complete peace of mind. Remember, if you can smell gas or think there may have been a leak – call a Gas Safe registered engineer straight away. Our phone number is 01924 631177 or the National Gas Emergency number 0800 111 999. It’s important to get help immediately. Eventually it gets to a point where the cost of constantly repairing your current boiler is no longer economical. If you’ve ever had to deal with an old, fault-prone boiler, you’ll know that forking out for repairs every few months, or worse, every few weeks is not fun. A new, modern boiler will be made with more reliable and efficient components which will be far less likely to give you and your family any hassle. Forking out for repairs on a faulty boiler if more trouble than it’s worth. Besides, after investing in all new boiler now, and paying in instalments is probably similar to emergency call outs, especially if parts are expensive and difficult to source. If you have an old, inefficient boiler in your home, it could be time for a change. A new boiler may seem like a scary venture, but it really isn’t as daunting as you expect. Talk to one of our team today for advice on what step to take next. If your boiler is in need of repair then call our team at Bright Gas today. We’re always on hand to help you out! Call Bright Gas on 01924 631177. Boilers are great until they stop working and there’s costing more to repair than an investing in a new boiler. If you find yourself having to unexpectedly replace your boiler or central heating system, it can put a strain on your finances. At Bright Gas we offer buy now, pay later offers on boilers, so that you can keep your home warm and toasty for years to come! With our buy now, pay later scheme you don’t have to pay for your brand-new boiler up front. Instead you can pay for your new boiler across a number of years, so that you are not hit with a huge payment at the end of the installation. Plus, we even offer up to 2 years 0% finance. We’ll help you work out how much your new central heating boiler will cost and then provide you with an array of different options to pay for it. We can tailor a finance package to suit your requirements whether you want to spread the cost over 12 or 120 months, or anything in-between, we’re her to help. At Bright Gas we are also authorised and regulated by the financial conduct authority, so you can be assured your boiler hands is in good hands. At Bright Gas, we specialise in the supply and fitting of boilers, whether it be a combi boiler, system boiler or heat only, we’ll guide you on the ideal solution for you and your home. At Bright Gas we work very closely with the top manufacturers of high quality boilers including Worcester Bosch, Vaillant, Baxi and Viessman. Plus, as they are all A-rated for energy efficiency, the cost of running the boiler is significantly reduced. That’s a huge plus, especially when you need to meet monthly costs on your boiler. You might even find yourself saving money on your energy bills, with your new boiler. Our team are all highly trained Gas Safe registered engineers, so that you can be assured that all our engineers are trained to a high standard during the entirety of your installation. We want to provide homeowners with peace of mind when they are upgrading their home heating system and strive for constantly providing high-quality boilers for every property. Plus, as a local business, you can be assured that one of our team will be on hand if you need any help – including talking you through how to adjust your thermostat in case you forget! Investing in a new boiler today can help to save you and your family money, especially if you are constantly paying for boiler repairs and emergency call outs. Constant repairs add up to more than you realise, so put that money towards your new boiler to stop these constant call outs. Talk to a member of our team today to find out more about your new boiler. Call 01924 631177 or email info@brightgas.co.uk, we’re here to help! Has your boiler been struggling through the cold winter months? Were you worried that it wouldn’t get you through to the spring? Then it may be time to start looking for a brand new boiler. With tons of different options available to you and sometimes it can be a little overwhelming. That’s when our helpful team at Bright Gas can help you out. Even though we may now be out of the worst of the weather, it is a great time to start considering investing in a new boiler. If your boiler is struggling to heat your home or you are constantly having to pay for repairs on a regular basis, then it is time to start thinking about stopping forking out on costly repairs that only have a temporary fix and start investing in a brand-new boiler. Boilers really don’t have to seem as expensive or scary as you may have thought. It is important think of a boiler as an investment in your home, that will benefit you and your family for years to come. Plus, at Bright Gas we offer a buy now, pay later scheme, meaning that you don’t need to fork out for a new boiler all at once. New boiler Dewsbury: Where do I start? Combination boiler – As well as taking care of your heating needs, combi boilers provide instant hot water. They have the advantage of freeing up space in a home, because there’s no need for a hot water cylinder (tank) like there is with a conventional boiler. Conventional boiler – A conventional boiler heats your home direct from the boiler whilst also producing hot water from a hot water cylinder which is often fed by a cold water storage cistern located in the loft and a feed and expansion cistern – also located in the loft.